Sure, LeBron’s season was already more-or-less over as far back as three weeks ago, when it became clear the Lakers weren’t going to make the playoffs and LeBron’s role would be limited for the rest of the year. But L.A. made it totally official with a statement today, declaring that they’ll sit LeBron for the remaining six games of the year. That groin injury, you may remember, came all the way back on Christmas Day, kept LeBron out for a month, and represents the clear turning point where a somewhat promising Lakers season became a complete disaster. 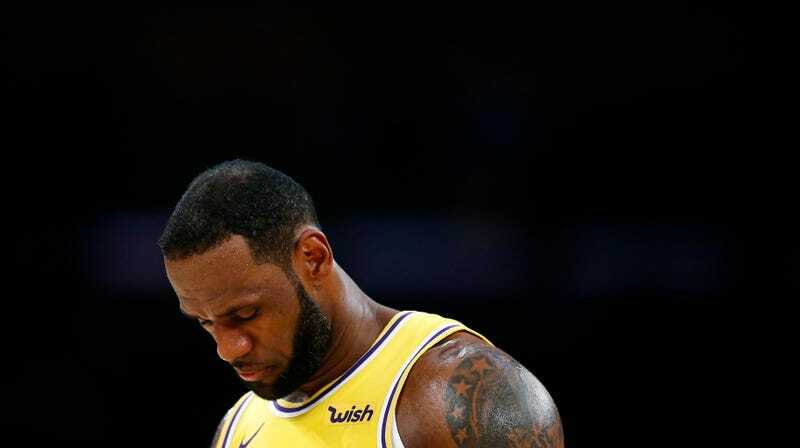 With the Lakers officially eliminated from playoff contention, letting LeBron chill out and heal is both the depressing and the correct decision. Now, he and Kevin Love can break out the wine together.